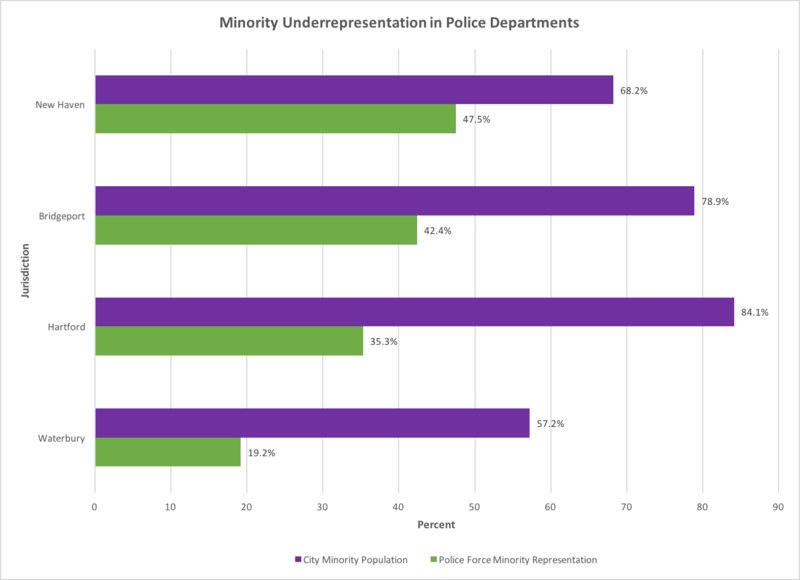 The Connecticut report, "State of Connecticut Traffic Stop Data Analysis and Findings, 2013-14," found that there were statistically significant racial and ethnic disparities of drivers stopped by police on a statewide level in Connecticut: black and Hispanic drivers were both stopped at a much higher rate and searched at a much higher rate than white drivers. 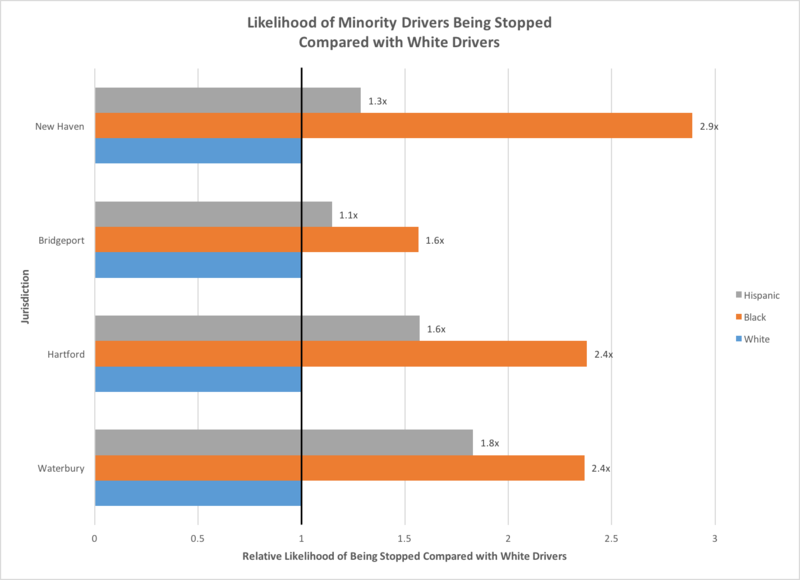 However, white drivers are much more likely than drivers of color to be found to possess contraband in their vehicles as a result of a search. Thomas Zembowicz is an Dwight Hall Urban Fellow based at DataHaven. Mary Buchanan, Project Manager at DataHaven, helped edit this article.